This was our first "theme" cake. 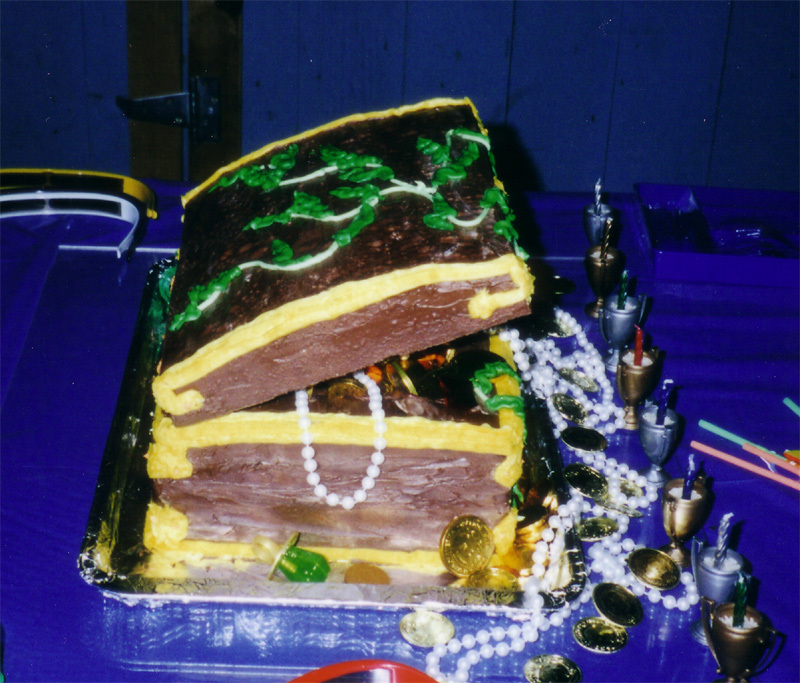 It is two cakes stacked on the bottom then hollowed out a bit on top. 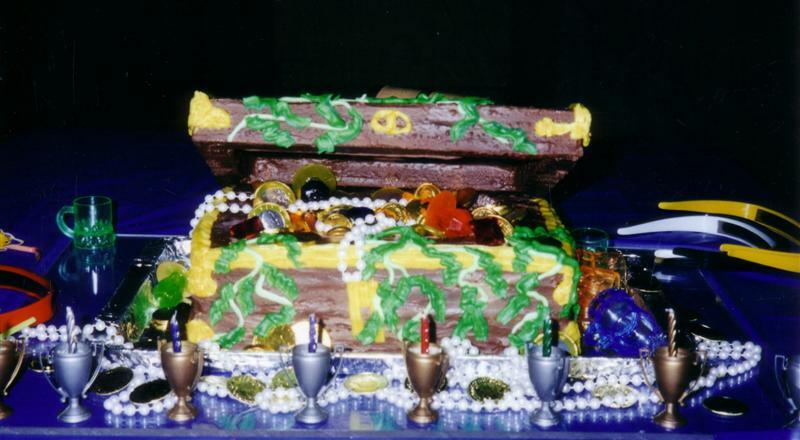 We filled the chest with chocolate coins, candy rings, necklaces etc. The top is Styrofoam with chocolate frosting. The foam is held on with wooden dowels pressed in the cake. We had to transport this cake through six hours of driving while it sat on the backseat. Whew, I was so glad to get there!